Vanitha Achuta Pai Vidyalaya, Junior College, Kalleda observed the International Yoga day on June 21 this year as did rest of the world. Nearly 300 students demonstrated asanas. Yoga is essentially a self discipline of body and mind. At the Junior College, students practice yoga for half an hour each morning. It keeps them fit and healthy. And their minds calm from distraction and does a world of good in improving concentration. This helps them deal with the pressures of life in a composed manner. We have a brilliant student named B. Ganesh in our school. Currently, he has just completed 5th Standard. He lives in Bahadurpalli. His talent in Math has been exceptional. 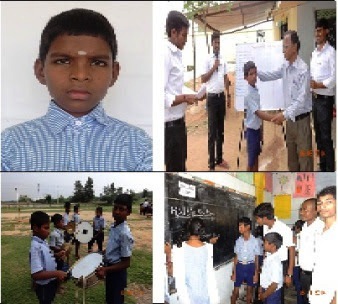 Despite his young age, he is able to do oral Math on par with his high school seniors and in some cases displays greater mathematical ability than 10th Standard students. 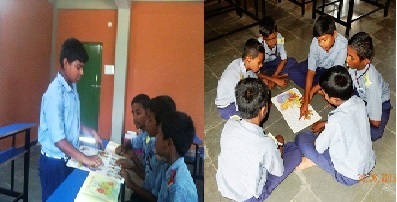 ​ He has displayed a great aptitude for learning new things and has a great thirst for knowledge. He is a quick learner and can grasp any concept after hearing it only once. He also has a unique ability to compute the day when given a specific date. Twice, he was awarded the first place in Tournament of the Minds.​ ​ He also plays the drums very well. We have firm belief in his ability and talent. He has the potential to become a very good mathematician. At the school, we are very proud of him and call him our Ramanujan. What a wonderful experience it was for students and PE teachers of RDF schools. They met Mr. Dean Gilchrist, who spent an hour with them. He spoke of his background and experiences and motivated the students to reach for the stars. The following day, he played a game of hockey with the children. 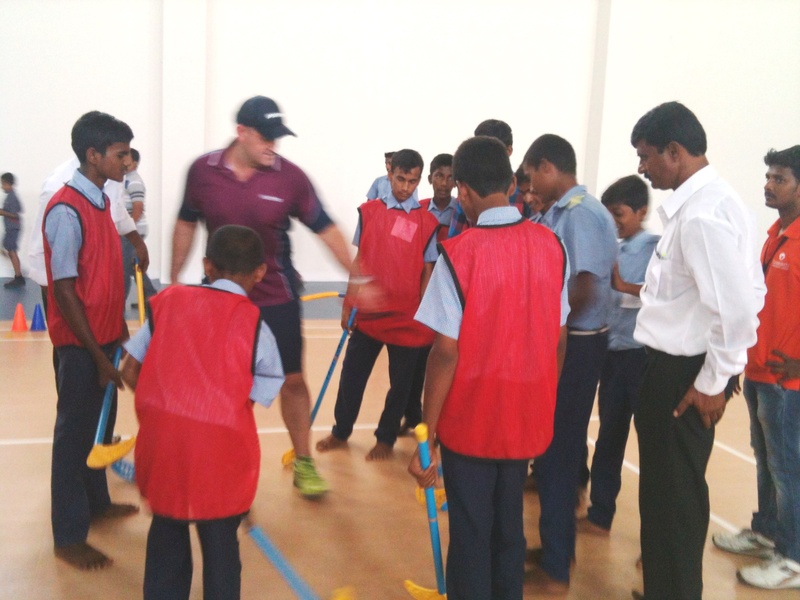 Most of were playing the sport for the first time, and they were given valuable tips on how to improve their game. For her RDF was the best ! V Chandana was with us at RDF Redlawada from Class 1 to 9. This year on advice from a few elders, her parents sent her to another school. After just two days she returned to RDF. She was very unhappy with the education and facilities that were available. At RDF, as a Class 10 student she had access to the computer and science lab, and a good library, which she knew was essential for her to excel at her studies. A love for books at an early age can do wonders. It can unlock one’s imagination, give a deep understanding of the world and develop language skills. And so it has with young Mukesh of Class 7, RDF Matendla. He seems to have discovered the joys of reading. The magic of the printed word draws him to a new world. And he spends most of his leisure hours in the school library. He is fortunately not the quiet bookworm, but shares what he reads with his classmates. He regales them with stories and anecdotes and has won many friends. And what more, it has motivated many to reach out for a book! All RDF school staff came together, in a 8 day workshop at RDF Rollakol School premises, to plan and prepare for the next academic year 2015-16. Also included were the staff of the two government schools that are supported by RDF and Tech Mahindra Foundation. The training was conducted not only for academics related preparation but also over all development of student, teacher performance, maintenance of records , orientation, use of TLM, appreciation, motivation, guidance, Sports, physical development, nutrition and extracurricular activities. Accounts and administration related issues were also discussed in the meetings. This is a busy time for the Junior College administration. It is the time for admissions of students into the new academic year. At one time, we had to resort to publicity and make the achievements of our college known in nearby areas. However, we do not feel the need to do that anymore. Our results in the intermediate exam speaks for the standards we are maintaining. Besides the regular academic syllabus, we offer vocational courses, extracurricular activities and sports that promote all round growth and encourages personality development. Pupils from the RDF schools also notice the quiet confidence of the students of the Junior College, and they are opting to continue their studies after completion of high school. For us this is a big accomplishment and only motivates us to better ourselves. And in turn produce students who are ready to take on challenges of the outside world.